Oh.. this two weeks my time table is up side down. From morning to until 2pm the daily routine time schedule has totally chance due to the ramadhan month. Morning send kids to school then send my wife to work.. then reach back home less than an hour again have to go school cari parking and pickup my kids. Then again all restaurant cannot eat only can tapao really inconvenient. Before can meet up people in the coffee shop to deal some thing.. now what also cannot! Everyday I have to skip my breakfast and do nothing in the morning. Again afternoon still no time for myself coz my kids extra class also move forward and start early so again have to rush here and there, Then when the time class finish already is my wife finish work have to pick her up! This month my timing really is a mass! All my own thing cannot do... Coverage also no time. By the time I can relax I also lazy to go out... even update my blog I also not like last time. I even rejected 12 restaurant of the invited for their Sungkai Buffet. Feel really sorry that cannot coverage it and share with you all. I really hope that the Ramadhan can faster finish and I can start it over again my normally daily life! Lucky today is PH and is a long holiday now I can really sit down and relax update this post!! In fact I have to update it 3 days ago which I mention it in my fb but really so sorry I no time for that! So let's share this Ayam Panggang to you all! What so Special about this Special Ayam Panggang? At first I also don't know what so special. 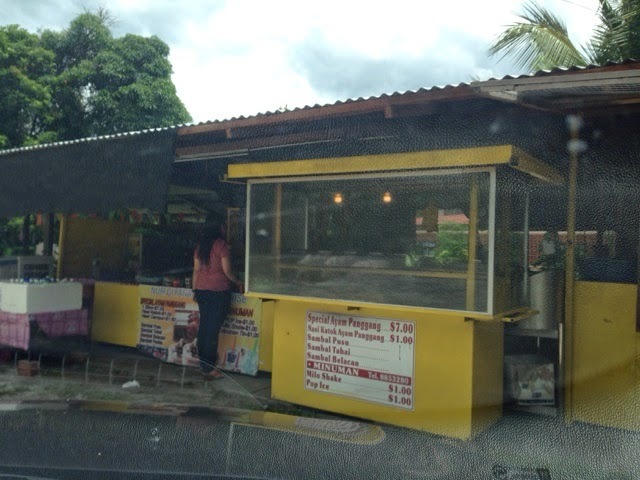 Is my wife's friend told her there is an hut selling grill chicken at Kg.Mata-Mata which is very nice. So that day we're in the rush and need to tapao food back home for dinner so ngam-ngam we came across to this area so we when to find it. Is not that hard to find this place... 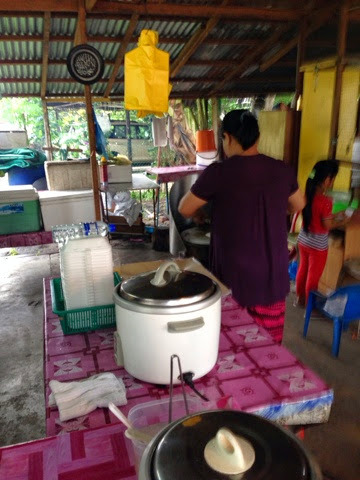 It just located at Simpang 54 which can see their yellow hut from the Kg. Mata-Mata main road! 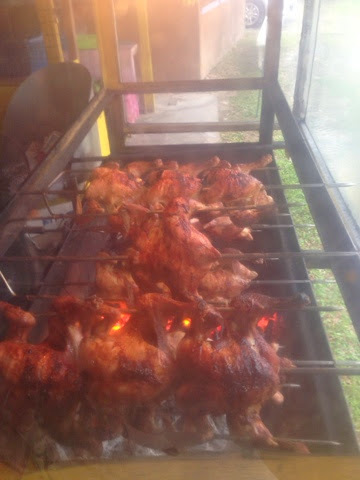 The main food their selling is the grill chincken..One whole grill chicken is $7.00 only which I think is cheap lah. A fresh one selling at supermarket some time also cost $6.00 above depends of the size! Here only $7.00.. buy one tapao home for dinner I think is worth it lah! So back to the question.. What so special about this Special Ayam Panggang? All I can say is their are using Charcoal to grill it. Not like others using oven or gas!! 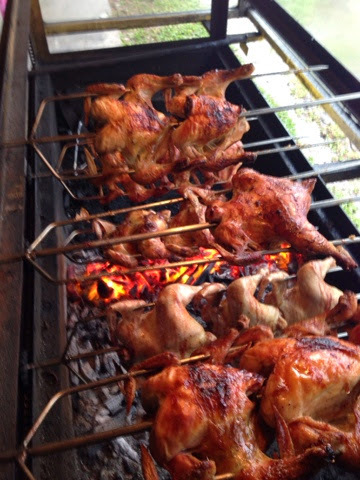 This is 100% using charcoal to grill so that's why it have a natural bbq aroma with their chicken! And the chicken also taste different then other especially like those at Pasar Malam the chicken yellow/orange color type! Some more the chicken seasoning deep deep cukup taste inside! Only one thing is I think is a bit dry lah but still ok got little juicy. thumbs up! They also have nasi katok which is also $1.00 saja comes with one piece of ayam panggang and rice! Btw... sorry about my picture here coz is a raining day.. is wet and low light can't take nice picture to show you their chicken! This is the place of the Special Ayam Panggang!! 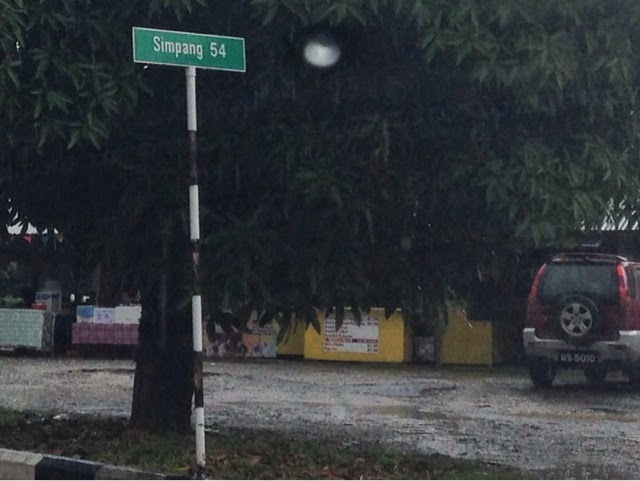 Simpang 54.. from the main from kg. mata-mata can spot them!! 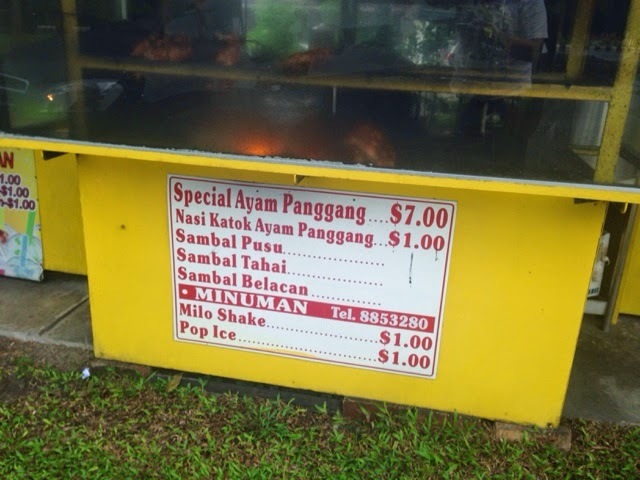 Next time I want to try their Nasi Katok Ayam Panggang.. only $1,00 saja! 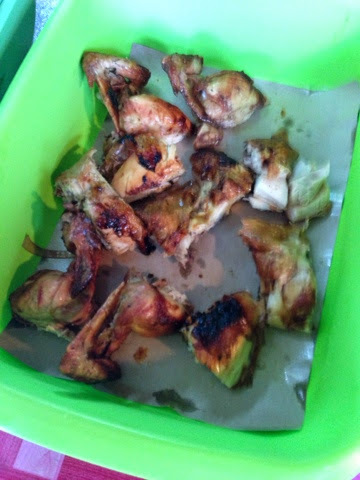 You can choose Cut or No Cut to tapao the whole chicken.. ofcoz normally people requested to chop one lah.. Go home tarus can eat ma!! Pick your favorite parts of chicken for your Nasi Katok! They also have selling Hati Buyah!!! I try it already.. Not bad!! See..... no tipu you one!! 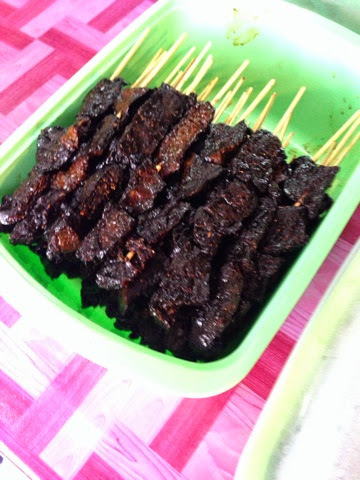 they use charcoal to cook their chicken!